HOME > MOVIE MERCHANDISE > WRECK-IT RALPH 2 SHANK POP! 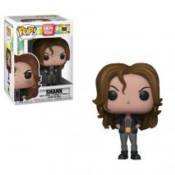 WRECK-IT RALPH 2 SHANK POP! WRECK-IT RALPH 2: RALPH BREAKS THE INTERNET RALPH & VANELLOPE VYNL.